TinyFrog Technologies is a San-Diego-based web agency, specializing in WordPress web design & development and secured hosting & maintenance. Founded in 2003, TinyFrog has built over 1,100 websites & has worked with almost every industry. We strive to give our clients a "toad-ally" awesome experience! 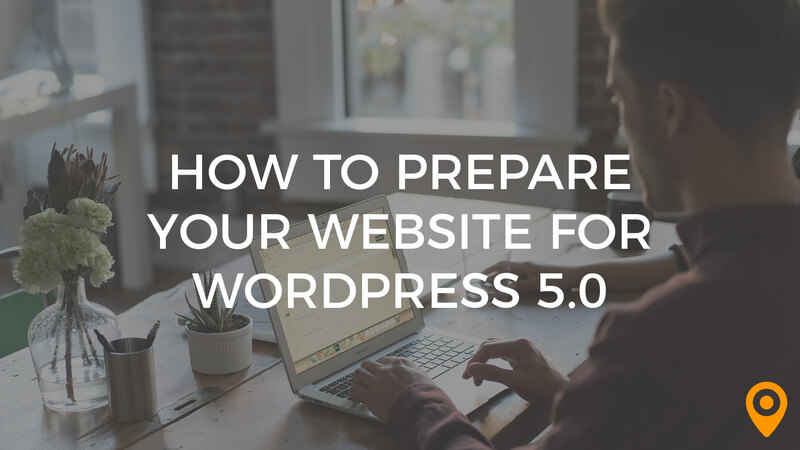 Are you ready for the biggest WordPress update in years? On November 27, 2018, WordPress will release WordPress 5.0 & the Gutenberg editor. Find out how to prepare your website for this update & why you should go Gutenberg-free for now. 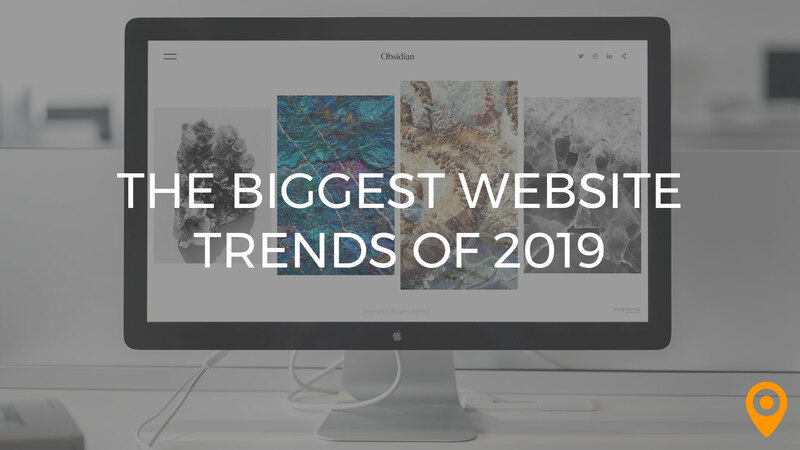 In our latest guest post, we take a look at the biggest website trends in 2019 for high-performing, fast, and user-friendly business websites! 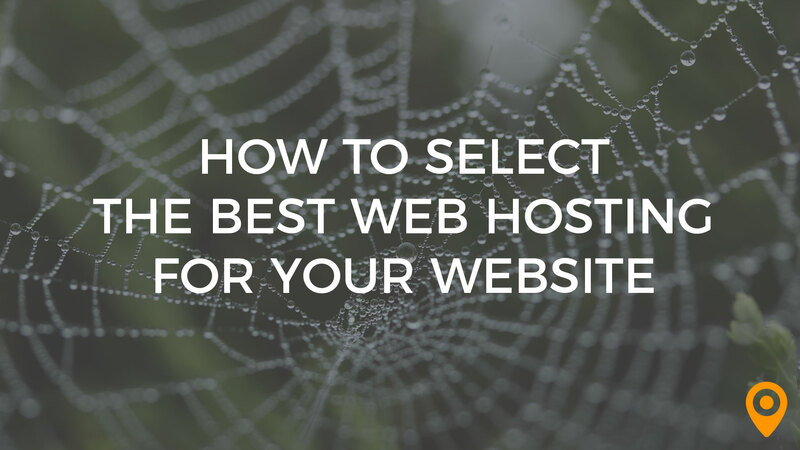 Selecting the wrong hosting platform for your website can cause slow load times, more downtime, and security issues. Find out how to spot the best hosting packages for your website. I love how communicative TinyFrog is and that they get things done in a timely and ordered manner. I only wish we had more time to work together and we have not had a chance to meet face to face. Working with the ladies at TinyFrog is a great experience. TinyFrog helps us manage our website and they are quick to respond to concerns and requests, communicate fully throughout the process and get things done quickly. I am truly enjoying working with them! TinyFrog staff were very professional. We received a contract that clearly laid out our agreement and they were prompt in making requested changes along the way. The pricing was fair and the product turned out great! With so much on our website changing, it was challenging to keep track of all of the various nuances. In the end, all pieces were addressed to our satisfaction. After setting up a contract with the CEO, we were introduced to the various TinyFrog team members that we would be working with. We had a knowledgeable contact person for each state of the process, and we had the chance to make revisions to ensure our needs were met. Thank you so much for your help, TinyFrog! I am so excited to see my company's website (www.ufovax.com) online now! The web designer's professional skills, friendly attitude and great patience when there are multiple changes proposed by us, the client, are what we like the most. Their willingness to always make extra miles to be perfect is greatly appreciated. It would be good that Tiny Frog Technologies offers services that help clients to maintain/update their websites. This is especially helpful for small startups where they don't have staff to maintain the website. We enjoyed very much the experience working with Tiny Frog Technologies. We can easily reach to its people at all capacities, from CEO to project manager, to discuss ideas and plans. Thank you all! Consistent communication, a team of professionals who excelled in their particular areas of assignment, wonderful partnership. Everything we asked for and more in all phases of the development. They listened to what we wanted and designed and implemented a website that exceeded our expectations within a timeframe we requested. Honestly can't think of what I liked least. Seriously.... I tried. Many times after full payment has been made and contract has been fulfilled you never hear from anyone again. NOT with Tiny Frog! Even a year after our implementation, we wanted to make some slight changes to the site involving personnel changes and photos. They were eager to help giving us instruction and even offering to make the changes for us. We still receive birthday cards from them with is just a cherry on top. Thank you Tiny Frog for making our experience with you so wonderful. Organized design process, competent team, talented designers, & deep understanding of the WordPress platform. We had no complaints whatsoever. The whole process was as seamless as possible. When developing a new website, staying organized is key. TinyFrog's staff is incredibly methodical and competent throughout the design, development, and testing phases. Link will continue to work with TinyFrog on all web-development projects in the future! Tiny Frog’s very talented and truly customer-focused team. Plus, their multi-pronged approach to web design is the only way to go! Honestly, there was nothing. They were great to work with – from start to finish! I worked with Tiny Frog to create a website for my new “Planet Janet Travels” travel blogging business. My whole team was amazing – Lilly as strategist, Nataly as web designer and Chris as development coordinator. They were talented, creative, responsive, and a pleasure to work with. My blogger website was certainly not the usual Tiny Frog B2B or B2C site but they still had the expertise I needed. I am truly thrilled with my website, and get rave reviews from everyone who visits. Each step in the process in creating our website from the ground up was clearly identified so everyone involved was was on the same page. Not enough time for all the inquiries through the new website! They were able to take the vision we had for our website and turn it into reality. Tiny Frog is BY FAR the best web development company we have ever worked with. The entire team is fast, responsive, competent, courteous, and budget conscious. The people at Tiny Frog actually make website design and management an enjoyable experience. The only regret is that we didn't find out about Tiny Frog sooner! The services Tiny Frog provides are truly outstanding. We would not hesitate to recommend this company to anyone. The communication and organization in its entirety . We would highly recommend TinyFrog Technologies for your website needs. Mikel truly knows his business. Tiny Frog staff is very responsive to emails and calls. There is nothing not to like. Tiny Frog did everything they promised. I was attempting to move web hosting services to a new provider and selected Tiny Frog. The prior provider did not hand over all necessary files. Tiny Frog worked around the problem and my site was up earlier than expected. Tiny Frog was the most organized web development company I have worked with (and I have worked with a lot). From the very beginning, I was impressed with their quick turn around time and attention to detail. I don't have a least favorite thing to comment on in. I liked Tiny Frog so much that after completing my first project with them, I immediately hired them to do a second website for me! Every phase of the project ran so smoothly. My team members were excellent at completing their work on time and listening to my direction/vision. In the design phase specifically, my designer did an excellent job listening to my feedback and providing us with a beautiful final product. We are very happy with our new website! I'm very impressed with the depth of knowledge and customer service. They have a great team. I can't say that there was anything I didn't like about the experience. Mikel and the entire team at Tiny Frog are very helpful and knowledgeable. They provide great customer service. It's nice to find a web design company that has a whole team of people with a wide range of expertise. I highly recommend Tiny Frog Technologies! Tiny Frog Technologies hosts my small business website. I like best that they not only host but have a back up if something happens and will help fix issues if I am hacked. Their service is much better than just hosting and why I switched from Go Daddy hosting. It isn't so much about Tiny Frog, but more that I don't like that hacking website is a reality now. It isn't if you will be hacked, but when your website will be hacked. I like least that needing protection and support for website hacking is a necessary business expense now. Although, I am relieved that Tiny Frog provides this protection and repair as part of their website hosting, so I don't have to worry about it. The team at Tiny Frog is professional and innovative when it comes to looking out for businesses and what is next on the website horizon. Whether it is business threats or opportunities to take advantage of, Tiny Frog has already thought of it before I would even know to ask. As a small business owner, I don't like that I have to be my own IT department, at least I know with my website I am taken care of and have someone to call that I can trust when any issues. Responsiveness, pleasure to communicate with, very accommodating! Can't think of anything. Thoroughly satisfied with Tiny Frog's services. I love the professionalism of this company. Starting at the beginning the organization and step by step communication with different people involved with my web development has been wonderful. If i had questions they were answered and if someone did not have an asnwer they would research this answer and get back to me instantly. My 4 hour time difference when working with them for my conference calls was taken into consideration making it very easy to schedule my weekly calls. Overall I am a happy customer. I don't dislike any thing about this company. I myself fell into a busy period with my business and I fell behind on what I needed to do to move to the next step. I was thinking my next step was going to be overwhelmingly consuming but once I got started I realized I should have started much sooner. Perhaps the company can offer an interim and "hand holding step" for smaller companys that become stalwarts like myself just to get us back on track. Stopping was totally my fault however and I take responsibility. My overall experience with this company has been wonderful! I'm looking forward to working with them moving forward with other products and services that they offer and as soon as I'm at that point with my business I will not hesitate to contact them again. I like talking with them the best. Their communication was awesome. They never missed a meeting and everybody that they had in their office was really smart, kind and knowledgeable. I think what I liked least was the fact that I eventually had to go out on my own after I was done working with them. I wish that I could just hire their team to be my counselor full time. LOL. They really did a good job. I had a great experience with Tiny Frog. My site is clean and professional. I feel like it stands out as one of the best in my industry. I would definitely use them again down the road. We have worked with Tinyfrog on multiple web design projects, the are very professional and the website designs they produce are world class. We will work with Tinyfrog on any of our future websites. Very Professional and Mikel and Jessica are amazing to work with. Tiny Frog has handled both of my websites for many years and I am happy with everything they have done for me. So many times I have contacted them and they answer me right away with what I needed to know or would help me when I need to get things fixed. I had no bad experiences, these people are professional and know what they are doing. If you need this kind of work I recommend them highly. They have built two websites for me from the ground up. We worked together every step of the way. If I was not satisfied with something they would work quickly to make it just the way I wanted it. This is a company I enjoy being creative with. They give much more than expected and are professional in all they do. The learning curve for me to define my needs and goals was steep! Back in 2012 I broke off on my own and started my Marketing Consulting business. I had no website or web presence and needed to get a quality site up fast so I could start directing potential clients to it. I know the marketing side but have no development or design knowledge. TinyFrog guided the whole process helping me define my needs and desired design. They took care of everything and educated me along the way. They are great team that has continued to be a resource for me today. Everyone is very professional and courteous. Hard to find today. Nothing, they did a great job and I will use them again like I have in the past! We really appreciated how willing TinyFrog was to go to extra mile to personalize our site and make it exactly how we requested. The web designer that we worked with, Andrea, was awesome. Not all of the things we requested had easy fixes, but they were addressed professionally and creatively to create an end result that we are very happy with! We look forward to working with them in the future on any further projects we would like to pursue. We have no complaints specific to TinyFrog; designing a large website is an extensive project, and sometimes technology is confusing for those who are not tech-savvy, but the TinyFrog staff helped patiently guide us through each step! We came to TinyFrog to redesign our website that we have had for ten years on WordPress. Everyone that we worked with at TinyFrog, from the SEO with whom we initially discussed the vision for our site, to the designer who worked with us daily, to the support staff more peripherally involved in the project, were exceptionally responsive, friendly, and wonderful to work with. Our requests for this redesign project were heard and addressed to create a beautiful site! Working with TinyFrog was a great experience! Working with Tiny Frog was terrific - the best part of working with them is their people! They're not only highly skilled at what they do, but they guide you through every step of the development process to make sure you're actively involved and feel supported throughout! There were a few times where things moved a little slow but it became a benefit for us because we had a bit more time to complete some of our tasks and projects we needed to submit to the team. Our overall experience was excellent - working with the Tiny Frog team, we always felt involved, guided, supported and encouraged throughout the entire development process! Through their expertise, they simplify the complex and do it all with great service and kindness. I'd highly recommend them to anyone looking to develop a "next level" site that is smoothly integrated, vibrant and easy to operate. Amazing team who bring wonderful support and final product. They are very friendly, professional and prompt with anything they do. I honestly cannot think of anything I did not like working with them. Really lovely. I would recommend them to anybody who is in need of website. Tiny Frog specializes in doing one thing, and one thing well - Wordpress websites. This specialization makes them our go to resource for our clients all new Wordpress websites as well as helping fix existing Wordpress websites built by other developers. I wish they were able to help fix our clients' websites on other platforms other than just Wordpress. We are a marketing agency and partner with TinyFrog on all Wordpress websites for our clients. I found them to be creative, extremely knowledgeable, and strategic. Our clients are always extremely satisfied with the websites Tiny Frog builds. They have also helped our clients fix their existing Wordpress websites built by other developers when there are critical security or update issues. The Tiny Frog Team was able to accurately connect to and feel what we needed, for energiefuel.com. This site is so important to our new business, and you've understood this, from the start. "Your entire team is exceptional. And, it's been wonderful to work with all of you! We've pushed hard to get all of the details, just right - and your team came through, at every turn. Thank you so much, for your expertise and ensuring that the site launched on schedule." Helen Wilson, energie·fuel Team Yes, our website is rad, different in a positive way, and just a great overall feel to it! For us, our website has been in the works since October of last year. We began with a prior company and had a bad experience. I remember the impression that the Tiny Frog Team gave us when we first met - it was Amazing! I thought... Is this too good to be true? To be sustainable? Just a real thought, especially after the recent experience of over-promising and under-delivering. I am super happy! It was, evidently, a bad thought coming from fear… The TF team rocks! We appreciated the detailed explanation of every step and enjoyed each interaction, with every single one of the members. Good vibes - even under stress. They are professional, in every situation and most importantly, delivered a site with great performance and their sense of commitment. They kept it real and fun. I am ultra-thankful and happy that the “energie” brought us together. We are TinyFrog fans! There's really nothing that we liked the least... everything was done right, everyone was enjoyable to work with, the price was competitive. Overall Great Performance. The BEST EXPERIENCE. Great Job TinyFrog! Helpful, prompt and clear responses to all my questions. Offer more than one solution, act really quickly. Also designed a BEAUTIFUL website. I wish I knew as much as they did about website design. I'm impressed with their level of expertise. TinyFrog has the BEST customer service! They truly immerse themselves into the subject matter of the projects they engage in and offer up mindful and creative solutions to every aspect of strategy, design, development and product launch. I'm a huge fan of their work and would highly recommend their products and services to anyone! Absolutely no complaints! I believe their attention to detail makes it tough to find areas for improvement... My only message is to keep on feeling the pulse of your customers and evolving with their goals, stylistic trends and emerging technologies. TinyFrog has worked closely with the non-profit that I work with, to provide cutting edge web design and development solutions that represent the organization's brand, message and supporters while ensuring that the tools we use are intuitive and robust. They've been quick to make updates and changes, they've suggested numerous creative solutions when presented with challenges and always deliver a reliable and clean product without any hassle. Thanks mucho TinyFrog! The entire team I worked with at Tiny Frog was absolutely amazing! From my first interview to discuss my website needs through the final stages, I worked with incredibly skilled and talented designers who were all true professionals. As I moved from stage to stage, I truly saw my vision come to life. The process was seamless--incredibly well coordinated (thank you Chelsea!). Communication was open and frequent and I was informed consistently along the way. There is really nothing I did not like or liked least. It was a positive process from day one! I absolutely love my new website. It is exactly what I wanted and so much more. It looks clean and professional--just the image I wanted to convey. I am so very impressed and I will recommend Tiny Frog to everyone I know. The Tiny Frog team was very hands on with our website design project, and their customer service was absolutely phenomenal. I had heard good things prior to hiring them, but they really blew my expectations out of the water as far as their knowledge and their ability to help us bring our vision to life. I would say the thing that I liked the least was that the project had to end! The staff was friendly, knowledgeable, and really treated our project as if it were their own. I felt like we were in good hands the entire time, and that every penny we spent was well worth it. Our website came out better than I could have imagined, which made it an easy decision to hire them again for our second website project. Such a great team! TinyFrog invited me in to their creative process and I felt like a real contributor. The communication with the entire team was fantastic. As with most worthwhile creative journeys, it can take time. Considering the end result, the time spent building the site was worth it. My overall experience working with TinyFrog has been fantastic. Jasmin, Michelle, Mikel, and the rest of the team have been great. The site is absolutely beautiful and I would definitely recommend TinyFrog. TinyFrog did an excellent job creating the website for the Greyhound Adoption Center: houndsavers.org The integrative approach and excellent communications helped us launch a fantastic website. There is nothing to like least...we were completely satisfied with TinyFrog from presentation to delivery. FANTASTIC! The TinyFrog team is communicative and helpful. The creative team is top notch! We were impressed by their initial presentation and found that their delivery exceeded expectations. I would highly recommend TinyFrog! Responsiveness, creativity, and patience of the team. They produced a web site of which I can be genuinely proud and - on top of that - made the development process a breeze. This question assumes there is something not to like. My experience was excellent and I could not be more pleased with the finished product. The team at Tiny Frog is extremely easy to work with, good communicators, and very responsive. I always knew that my ideas would be listened to and that any problems would be quickly and creatively resolved. If you are looking for an organization that really knows "their stuff" and is great to work with, you've found it in Tiny Frog. Excellent communication and customer service. Always prompt and eager to please. I truly cannot come up with even one thing I did not like about Tiny Frog. From start to finish, the team at Tiny Frog was excellent, exceeding my expectations. I have worked with other web design and development companies before, each time they were very frustrating experiences. Not with Tiny Frog -- they were top notch all the way through. I am admittedly pretty picky and detailed, yet they accommodated each request with professionalism and thoroughness. My marketing strategist, Kristi, was really wonderful to work with and hit the nail on the head the first round. Ben, my designer, was perhaps the most prompt professional I've ever worked with. This guy absolutely never missed or extended a single completion deadline. He has an exceptional eye for design and went above and beyond. My development coordinator, Jasmin, was involved from the beginning and maintained excellent communication throughout. She has a very friendly and pleasant demeanor that was a pleasure to work with during the entire website development. She has a keen eye for detail and an obvious desire to please her clients, and to not miss a single detail, for which I am deeply grateful. Mikel has a fantastic team and well-organized company, and he is wonderful about communicating the website design and development process and expectations each step of the way. I HIGHLY recommend Tiny Frog!! TinyFrog always finds a balance between what I say I'm looking for and what they know would work best. It's always a process and they will always suggest an optimal way of doing things. It takes time to develop a new website. Sometimes it's time on their end, sometimes on mine, but in the end, we needed to go through that back and forth. I love working with TinyFrog. Over the years they've helped me update my company's website and each time the result is on trend and ahead of the curve in terms of technology. A great group to work with. Prompt, detailed response to requests, explaining issues in plain, understandable language and delivering what is promised by a professional, friendly staff. Not having enough words to describe my satisfaction. Been working with Tiny Frog for many years to my full satisfaction culminating by moving my hosting to Tiny Frog. TinyFrog are experts at creating high quality websites. They have repeatedly provided strategic, attractive, successful websites for my clients, regardless of industry. The TinyFrog team brings together experts in design and UX, strategy, development, and project managers, to provide detailed insight into the various stages of creating a strong website. Their project management is top-notch; they are highly communicative and manage the process well, to make it easier for clients to achieve the site they wish for. They provide valuable guidance at every turn of the process, to assure that the website will be mobile-friendly and valuable for customers. In addition to the technical expertise and the beauty of the sites they do, the value they seem to put on client care has always been appreciated. No complaints here! I wish I had more projects to do with them right now! A highly professional, honest team that delivers above and beyond expectations. They clearly care about final results and provide creative solutions to some of the most common web challenges. They are forward-thinking and very easy to work with. I have been impressed each and every time I interact with the various members of the team. Very responsive! Very communicable! Always honest! Quick yet efficient workers. Trustworthy. I've been working with them for 3 years and I haven't found something yet! Mikel and his team are OUTSTANDING!!! I have been working with Tiny Frog for about 3 years now and they do not disappoint! Mikel is always so quick to respond to all of my emails and calls. Sometimes he gives me simple advice and other times he sets me up with someone on his team to do some in depth work on my websites. He's always helpful, never rushes, extremely generous, and very friendly. His team is great at communicating and makes sure that you are involved in every step of the way. They always make sure you are 100% satisfied with the work they're doing. They have showed me how to make minor adjustments to my websites so I don't need to call them for every little thing, but when I do have a minor question, they help me immediately. They send out great little emails that have a wealth of knowledge in them every so often as well. If you need branding, re-branding, website design, a website built, etc... Tiny Frog is your team!! The service was great ! Andrea did good job and always kept us in the look, very attentive and timely. There was nothing that we were unhappy with. Perhaps the communication between one blue and tiny might have been a bit clearer from the beginning. Very user friendly, pleasant staff, good value. The coordinator who provided the client support and oversaw the development phase of our website is a gem. Her patience and encouragement was invaluable. The Tiny Frog team communicated well with us. They were professional, highly organized, and collaborated to create a beautiful website. My lack of technology challenged me at times. However with amazing tutoring, an affirmative approach, and constant support our development coordinator made the journey a positive learning experience. Mikel (the owner) and his team are friendly, knowledgeable, honest, and fair. They truly took the time to understand our goals and the mission of our foundation. The flexibility and patience to deliver a product that was started from scratch with no blueprint to follow. At end working with one person to finalize all of the changes and fixes that needed to take place to finish a long complicated project. I believe in Tiny Frog, and what they do. The project I had was developed from scratch and was a difficult one. They stayed with me and while it took much longer than expected; much of it do to my inexperience and the largeness of the project and the touchiness of my job situation, we delivered a very impressive website. This website gives me a chance to change my life! Tiny Frog enabled my firm to highlight our services with class and creativity. We are thrilled with the result! The least enjoyable part of the process was the time required to develop and translate the vision to a digital format. Tiny Frog was able to provide excellent service to our multitude of questions on the development process to design the website. My overall experience was a ground-up lesson in designing a good website from having little to zero knowledge on the subject. Tiny Frog was there every step of the way to ensure I had the necessary information to build my firm's digital vision. We are very happy with the decision to select Tiny Frog for our website. The process was organized and easy to understand. There were no surprises along the way which is a rare occurrence in technology. We needed our website migrated, cleaned of old plugins, updated, and sent to a faster server. I have no complaints for any of these services. Our company needed emergency help and we were quickly reached and connected with the CEO who , reviewed the tech's notes, organized the quote, and implemented our plan. Everything went as scheduled and we are now secure with a team we can rely on for a very reasonable cost. They deliver incredible service and their team is highly responsive. NA - I cannot think of anything that TinyFrog hasn’t delivered or exceeded expectations for. TinyFrog exceeds our expectations in every respect. General overall relationship with the team made it very easy to communicate as well as understanding expectations and outcomes. From the first contact all members were prompt in responding to questions and I just felt "in good hands" . That at the moment I cant ask the team to do more work for us but am definitely looking forward to working with the team again! The three things I liked best are Responsiveness (they were prompt in all our communications), creativity (they brought fresh ideas to my website), professionalism (I felt great trust and ease in their care). They're not the cheapest ;-) However, having worked with cheap outfits before, I've been consistently disappointed. Tiny Frog isn't cheap, they're not overpriced, either. In a word, I'll use them again. In fact, I've been a client for over eight years. My wife's business now uses them, too. I've recommended them often. What can possibly describe my experience better than recommending?? Probably the nicest and most helpful people I've worked with. I honestly can't think of anything that I didn't like! Mikel and his team are very responsive, helpful and good at explaining technical stuff to non techie people, such as myself. I like how they provided screenshots to train me on the steps I need to take to make minor changes to my website. Overall, everyone I dealt with was very helpful, kind and patient and never made me feel like I was asking too many questions or being a bother. I appreciated their ideas and loved their design. When considering a new project, it's almost impossible to say no due to Tiny Frog's incredible pricing, and overall expertise in the web development space. Tiny Frog provides excellent value for a high quality of service. They notably develop new websites for us as needed, but also maintain our existing websites, including updates and new content additions. The process is remarkably easy to maintain the sites, and I have enjoyed working with both the designers and the coders on creating new, modern, attractive websites. I would definitely recommend them to anyone needing help with web design, development, and maintenance. Tiny Frog saved me! I had an "*unnamed* web developer who took FOREVER to do my website, I couldn't get the e-commerce functions to work, and the design was a mess. Tiny Frog took over the project. They were quick professional, enthusiastic and supportive. I was grateful and relieved to get their help. They also taught me about other features that will make my website run better and keep it safe. I now host my website with them, because I know they will have my back when I need them. I have no complaints whatsoever. Tiny Frog was professional, quick, and knowledgeable. I can't say there is really anything I didn't like... or don't like, because we have an ongoing working relationship. I have been very happy with our decision to use Tiny Frog. The people. Everyone was a pleasure to work with and they listened to our needs. To be honest, I cannot think of anything. If anything, we were not happy with one outside source they supplied to us. We were not excited about his work he performed. Excellent. They were patient with us during the design and not understanding some of the terms. They responded quickly to our questions. The overall website turned out great! They were able to take my overall requests and produce a high quality website. No complaints! They did a great job! Everyone at Tiny Frog was extremely helpful and friendly. I don't have much experience building websites, but they were able to simplify the entire process so that I understood and could participate along the way. They were upfront regarding timing of the project and stayed within those timelines. Prior to choosing Tiny Frog, I spoke with several different website designers. Based on the overall services offered and cost, Tiny Frog was definitely the best investment. I highly recommend them to anyone who is looking to increase their overall online presence. The final web site is so much more than I ever imagined. I could not be happier. The entire team was professional, knowledgeable and very helpful at all times. Many, many thanks to everyone at Tiny Frog! Absolutely no complaints! It was a great and productive experience from the start. From the moment I decided to build a web site, the Tiny Frog team was great. I started out with very little knowledge and there were delays from my side along the way due to changes in my business. The Tiny Frog team accommodated me throughout and helped me to build the web site which is right for my business. Perfect! I enjoyed the entire experience, they delivered the project on time, I just wish I had reached out to them sooner because waiting for it to be done was the hardest part! The staff was AMAZING! They were so helpful and so responsive. Every time I had a question they were right there to accommodate, and even made time to come to our office for an in-person meeting at our request. This is the first time I have worked with a professional web design company and I could not have been happier. Tiny Frog did a great job with our website and were professionals throughout the process. Their prices were also very fair! Great, friendly service and talented people. There were many great options when determining the direction of our website, it was hard to choose just one. Overall I had a wonderful experience working with Tiny Frog. Professional, friendly, and creative group of people. They helped make the website for the non-profit I sit on the board of simple, easy to udnerstand, and beautiful. Couldn't have asked for more. Clear understanding of our business and our customers. User friendly design. Warm and welcoming interface. I have no complaints about Tiny Frog. Extraordinary client service. Unquestionable integrity. Our Tiny Frog team provided us with insight and guidance to build a site that demonstrates who we are and that works across platforms and devices. I can't think of a thing that we wanted that we didn't get! The team at Tiny Frog were incredibly easy to work with: responsive, creative, accommodating. The experience was incredible from start to finish and we got exactly what we wanted. We're thrilled with it!